Google Maps is great, but Randolph center is notoriously full of traffic, which can make finding a small shop tricky. Peruse the below narrative directions for a little extra help in finding AJW. And scroll a bit further for Google Maps. Take exit 5A and follow Rte. 28 into Randolph center. The store is 3.25 miles on the left after CVS and the Randolph Savings Bank. To access a public parking lot behind the building, drive down the driveway between the bank and the brick building in which we are located. The driveway is adjacent to Randolph Savings Bank's entrance. Take exit 20A onto Rte. 139 heading toward Randolph. Follow Rte. 139 about 2 miles until the road intersects with Rte. 28. Turn right onto Rte. 28. AJW is on the left after CVS and Randolph Savings Bank. To access a public parking lot behind the building, drive down the driveway between the bank and the brick building in which we are located. The driveway is adjacent to Randolph Savings Bank's entrance. Take Rt. 28 north into Randolph center. Store is on the right after Zack's Pizza. To access a public parking lot behind the building, enter a driveway on the right directly after the brick building in which we are located. The driveway is adjacent to Randolph Savings Bank's entrance. Take Rte. 139 to its end in Randolph center. Take a right onto Rte. 28, stay in the right lane, and the store will be on your right after Zack's Pizza. To access a public parking lot behind the building, drive down the driveway on the right directly after the brick building in which we are located. The driveway is adjacent to Randolph Savings Bank's entrance. There is on-street parking as well as a large parking lot behind the building. Parking lot access is next to the Randolph Savings Bank. AJW is here for all your jewelry needs. 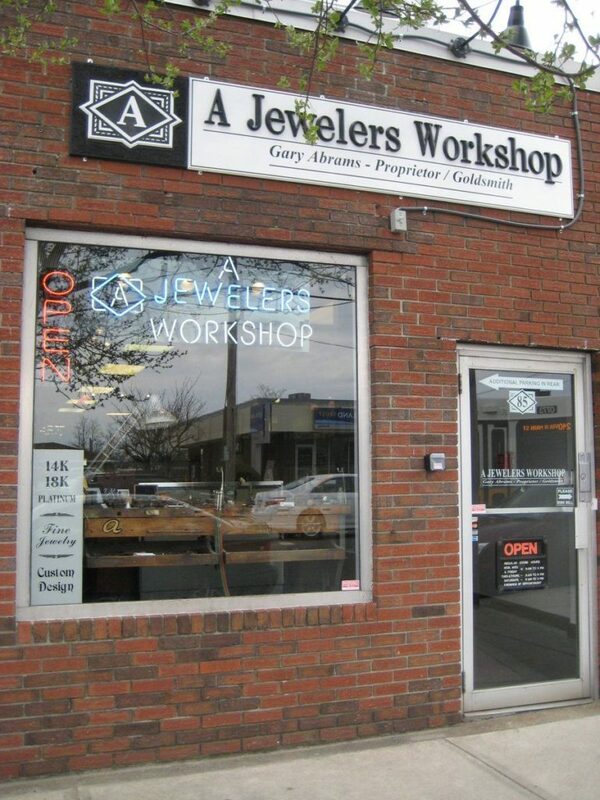 A Jewelers Workshop's hands-on, personal approach ensures you leave with a perfect piece of jewelry. Get started on that special gift, project, or repair. We will respond within 24 hours.